It might be hard to think of anything less conventionally “cool”, but according to the Association of British Travel Agents, a record number of young people want to go on a cruise. The average age of British cruisers is 56 – the highest it has been for a decade – but Abta reports a surprising leap in the number of 16- to 24-year-olds who are considering cruising instead of larging it in Ibiza or Malia. The trade body, which represents more than 5,000 travel agencies, says that one in five under-25s are considering a holiday on the high seas this year – nearly three times the number that went cruising last year. Cruise ships, say the travel experts, have finally “shaken off their old, staid image” and now many are “like floating theme parks, perfect for party animals”. Many have ditched cabarets and black-tie dinners at the captain’s table in favour of all-night parties, rock climbing, assault courses and surfing lessons in on-board simulators. Phil Evans, managing director of cruise tour operator CruiseNation, says there is a “huge trend in young people going on cruises“. He said cruise lines were overhauling facilities and ripping out old-fashioned decor to make boats more appealing to younger people, but admitted that the principal attraction was how cheap a cruise trip could be when compared with do-it-yourself holidays. More adventurous trips are also popular, with the company’s bestselling holiday being a trip that starts in Hawaii, followed by a flight to Alaska, a five-night wilderness cruise and then a train back down the Pacific coast. Evans said the average age of passengers on the trip, which costs from £1,500 for 15 nights, was 35, with many couples in their 20s. He said the real boom had been among 24- to 30-year-olds, but it is “growing in the early 20s too; the ages keep coming down and down”. He said the average age of his passengers a decade ago was “55, if not higher”. 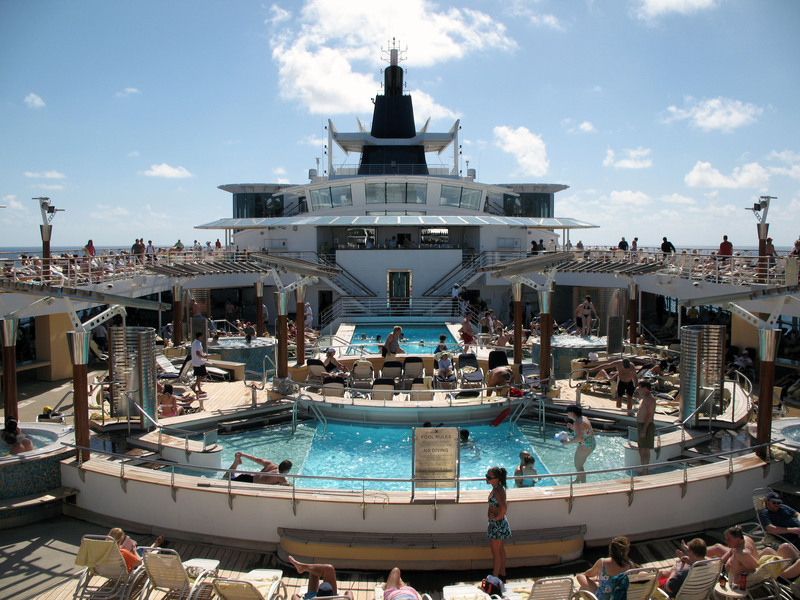 Cruise tourism is one of the world’s fastest growing tourism activities. In 2004 13 million cruise passengers were registered worldwide. By 2015, UNWTO estimates this figure to reach 25 million. Clearly cruise ships are no longer the preserve of middle-aged passengers spending their kids’ inheritance on the trip of a lifetime. As cruise passengers get younger and hail from a broader range of markets (for example, this UNWTO report discusses cruise growth in Asia), they will expect more flexibility in booking and dictating their own trip, as is the case with most other tourism products today. CruiseNation’s tour of Hawaii, Alaska and the Pacific Coast is a good example of this. When it comes to marketing, cruise lines are well aware that customers increasingly travel in multi-generational groups (grandparents with their children and grandchildren) and a different marketing approach is made for each. This helps to explain the company’s relaunch with a major social media campaign at the end of 2013. Sharing the cruise experience before, during and after the trip is now central to the company’s efforts to appeal to a broader range of age groups. So what about the destinations that cruise ships serve? Just as onboard entertainment and facilities are changing, cruise passengers will increasingly expect a more tailor-made and lively visit to the world’s port cities (and beyond), leaving behind the outlet centres selling bargain knitwear or forced visits to tourist traps, in favour of more experience-rich trips, allowing visitors to connect more intensely with the destinations they call at. Destinations in Europe and the US are best placed to capitalise on the growing youth cruise market, in light of their proximity to source markets and good low-cost airline connectivity. They will have to work hard to attract younger cruise visitors, while adapting their range of products and services to younger visitors, to compete with the refreshed entertainment, food and accommodation on board.